Our annual conference is only two weeks away! 1. Listen to and meet our amazing speakers, like award-winning author Sharon Draper. 2. Attend concurrent sessions by amazing professionals who want to share exciting classroom ideas. 3. Visit our exhibitors and find new materials for your classroom (and come to our gently-used, free book table and go home with new books). 4. Network with colleagues old and new while eating delicious food at the Penn Stater Conference Center. 5. Because you’ll have fun! 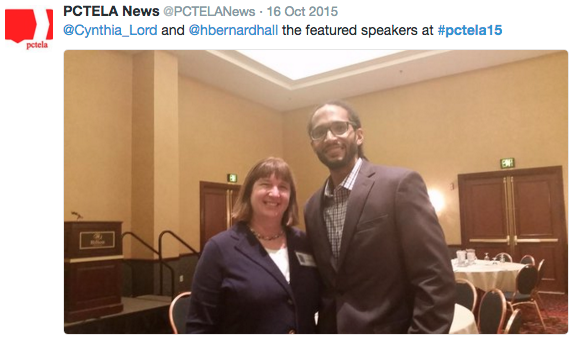 Cynthia Lord and H.Bernard Hall at last year’s conference. I’ve seen this book at booksales and in bookstores, and always thought it looked interesting, but it wasn’t until a student brought it in, put it into my hands, and insisted I would love it that I actually started reading it. I am so glad she lent me her well-worn copy. This novel circles around a tightrope walker’s antics on a wire between the Twin Towers on a hot August day in1974. Each segment profiles a different character, but also shows us how intricately connected we all are. In the author’s note at the back, he admits to being interested in those people who walk a tightrope just an inch off the ground. McCann also writes this as a sort of love note to New York City in the aftermath of 9/11. He says of the city: “Strange things occurred precisely because there was no necessary regard for the past. The city lived in a sort of everyday present.” Later, when a character studying graffiti contemplates new tags and thinks of ways to make better, more original art, he considers: “It was only genius if you thought of it first. A teacher told him that.” Of course, as a high school teacher myself, it is easy to see this as something I might say to a student. 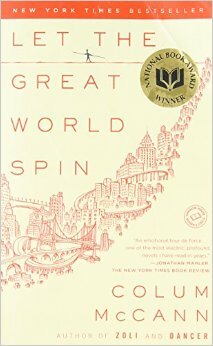 I highly recommend reading this National Book Award winner if you missed it the first time around. Oh! the shocking little glutton. 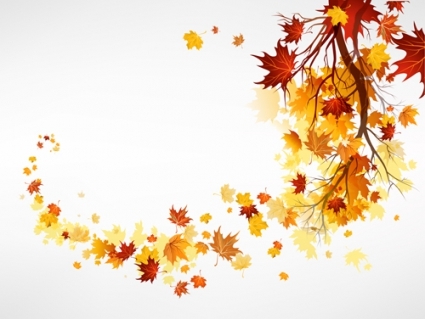 Smoke of autumn is on it all. The streamers loosen and travel. The red west is stopped with a gray haze. In the pocket of the first, the earliest evening star.. . .
Three muskrats swim west on the Desplaines River. There is a sheet of red ember glow on the river; it is dusk; and the muskrats one by one go on patrol routes west. Around each slippery padding rat, a fan of ripples; in the silence of dusk a faint wash of ripples, the padding of the rats going west, in a dark and shivering river gold. I lean on an ash and watch the lights fall, the red ember glow, and three muskrats swim west in a fan of ripples on a sheet of river gold.. . . Here a dog head dreams. Not any hate, not any love. Brother of dusk and umber. 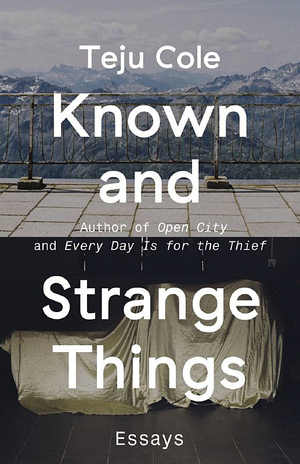 So I still have that literary crush on Teju Cole, but it may have turned into full-blown fangirl status with his latest book, filled with brilliant essays, titled Known and Strange Things. I would argue Teju Cole’s work represents the voice of a generation–but more than that, the voice of our time, regardless of age. His essays include personal narratives and travel writing and analysis of art and current issues and in each one I found myself scribbling notes furiously. Sometimes it was a turn of a phrase, somethings an insightful observation, and sometimes (most times) I found myself creating a list of authors, artists, and texts I needed to read/view/research immediately. And his observations are compelling, and yet make sense–they are ideas we have not yet discovered we even had, until he utters them and makes us aware of our thoughts. For example, his comment that “All technology arises out of specific social circumstances” leads to his question “What is the fate of art in the age of metastasized mechanical reproduction?” And I want to know, what is the fate of art in this age? You might find one answer by following Cole on twitter, which, I would argue is just as artistic as any of his full texts. As he himself notes, “curation and juxtaposition are basic artistic gestures,” so the way he curates his social media is thus, by extension, a work of art. Sadly, he’s been on hiatus from twitter after his brilliant World Cup tweets in 2014. Reading this book, I found myself wanting to copy different essays to share with colleagues, students, and friends. Do yourself a favor and get your hands on a copy to read immediately–you won’t regret it, and you’ll probably end up adding a bunch of books to your to-read list based on his recommendations. When a student stays after class in the second week of school, talking about a book she thinks I need to read, and then hands me that book in the third week, I take some extra time over the weekend to read it. 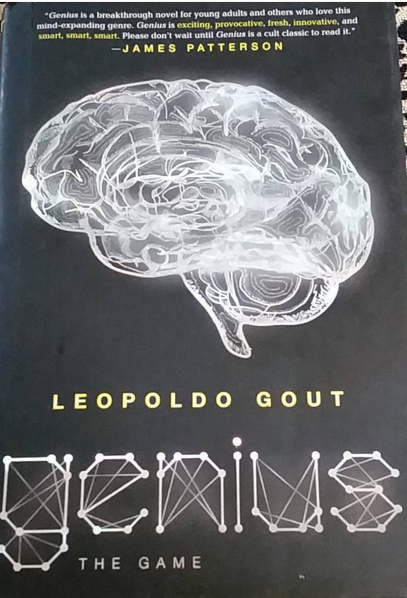 Genius: The Game, by Leopoldo Gout, tells the story of three young geniuses with different skill sets, competing in The Game, held by a successful young entrepreneur. Painted Wolf is essentially a spy, filming secret business deals and exposing them online. Rex, a computer programmer and hacker, has a missing brother, which pushes him to create people-finding software. Finally, Tunde is an engineer who creates workable devices from recycled goods. Because he’s being blackmailed by a dictator in his country, he must win the competition and build a device that will meet the needs of the dictator while simultaneously undermining the evil ruler. The book tells the story of each of these players, how they find their way to Boston, and why they want to compete. What makes this young adult book a little different than others is the way it incorporates images, designs, and art on the page and the page borders. There are schematics for inventions, screen shots from spy cameras, and bits and pieces of code. While illustrations are not new for books, this particular text seems infused with the graphic elements, so they do not feel separate from the narrative. So if you have a student interested in programming, engineering, espionage, or film, this might be a good book to hand off to them. If you’re looking for a fun adventure story with strong-willed protagonists, this might be the perfect read for you. The Fund the Dream grant was awarded to the Pennsylvania Council of Teachers of English and Language Arts (PCTELA) by the National Council of Teachers of English (NCTE). We are using this grant in order to mentor teaching candidates and new teachers in their first three years of teaching. Our goal is to select teachers of color who are enthusiastic, academically ­driven, and passionate about this profession! We want to support these teachers in developing and implementing a mentoring opportunity for students so they can grow professionally and share that flare for learning with students across Pennsylvania. We will be selecting up to three teaching candidates and/or new teachers from Pennsylvania to mentor as they develop a mentoring activity for students in a “pay it forward” play on professional development. Please take 10­-15 minutes to write a short response to the following questions and submit your proposal either online or via email to our Executive Director, Allison Irwin. You do not need to be an English or Reading teacher to submit a proposal! We welcome all teachers with a heart for using literacy in the classroom (reading, writing, speaking, and listening standards) to apply!